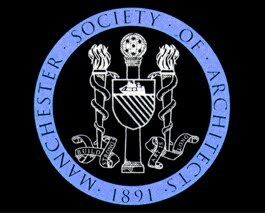 September deadline for the RIBA ICE McAslan Bursary in 2012. This is a great opportunity for current students and recent graduates to apply for up to £7,500 to develop an original design project that will cultivate positive change to communities and environments. · that the idea should be an intelligent and logical response to functionality and a sense of place. In addition to providing up to £7,500 of funding, John McAslan + Partners will offer mentoring support to the bursary holder. To be eligible to apply, applicants must be a student or have graduated in the last 5 years from an RIBA-validated school of architecture, or a JBM-accredited engineering course. You can download the Information to Applicants and Application Form from the website. Don’t hesitate to contact me if you have any questions about this Bursary. Please forward this email and promote this opportunity to students and recent graduates who are eligible to apply to the Bursary. Disclaimer: The content of this e-mail is intended solely for the use of the Individual or entity to whom it is addressed. If you have received this communication in error, be aware that forwarding it, copying it, or in any way disclosing its content to any other person, is strictly prohibited. If you have received this communication in error, please notify the author by replying to this e-mail immediately. 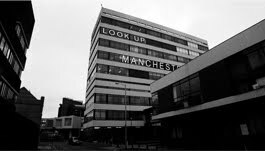 "Before acting on this email or opening any attachments you should read the Manchester Metropolitan University email disclaimer available on its website http://www.mmu.ac.uk/emaildisclaimer "
RIBA Education Fund – to support students in financial hardship at Parts 1 and 2 all year round. RIBA Part 2 Scholarships – a new funding scheme to support students enrolled in, or about to start Part 2 in 2012/13. RIBA Norman Foster Travelling Scholarship – a £6,000 scholarship to fund international research on topics and in locations of the student's choosing. Each school with RIBA-validated courses can submit one application only. Watch this space for news of the RIBA Research Trust Awards for independent research related to architecture and LKE Ozolins Studentship for PhD funding. Details to be announced in March. We will launch the call for entries for the 2012 awards in a couple of months. Meanwhile, after being displayed for two months in London, the 2011 exhibition is now in Newcastle (until 15 February). Other locations confirmed for 2012 include Leicester and Liverpool (in the UK), Dublin (Ireland), and Suzhou (near Shanghai, China). Plans for Australia, Brazil, Romania, Turkey, Mexico, and UAE are also underway. For more information, visit the President’s Medals website. The RIBA CPD team are delivering a popular series of events on BIM and financial management for architects throughout the UK in 2012 with reduced rates for students. Those who attended have given us very positive feedback. As part of our Tuesday Lates initiative, when the RIBA HQ at 66 Portland Place is open every Tuesday evening until 10pm, from April onwards we will be organising a series of FREE evening talks by academics and architects who are undertaking research funded by the RIBA. Drop in and make the most of a visit to the RIBA. If you missed a lecture at the RIBA, you can view them on our website. In addition to talks by speakers such as David Chipperfield, Norman Foster, Edouard François, Jan Gehl, Jaime Lerner, and Kevin McCloud, you can watch debates on architectural education, architecture and law, climate change, etc. The RIBA continues to offer FREE student membership to students of Architecture enrolled in courses validated by the RIBA at Parts 1 and 2. Joining is very easy and done online. The RIBA has developed a package of new benefits for Associate Members (post-Part 2) designed to assist with graduates’ first steps into the profession. Visit http://connect.architecture.com/ to find out more. Remember to stay in touch with us via our pages on Facebook and Twitter, and also on the RIBA blogs. A practice is looking for Chinese speaking graduates (either Part I or IIs) for position within a prestigious practice working on a major new build. I would be grateful if you would bring this exciting project to the attention of graduates with some relevant experience. This is an exciting opportunity for an ambitious construction, engineering, management or information systems graduate to fast-track their career development as a Business Information Management Associate – in the construction sector. The project will provide the successful candidate with the opportunity to deal with issues of information management, procurement and performance measurement with a small company in construction. The successful candidate will also be eligible to register for a research degree. Your interests should include information management, the development of Key Performance Indicators (economic and social) and business system designs. The successful candidate will undertake a 2-year collaborative project between B4Box Limited, a leading construction company and the University of Salford. Primarily based in B4Box premises in Salford, you will take a leading role in capturing the company’s highly successful business model, develop and replicate the model to new clients and lead in the development of a new approach to construction - linking government investment in capital projects with training. As KTP Associate, the successful candidate will receive extensive practical and formal training, gain highly desirable specialist performance management skills, broaden knowledge and expertise within an industrially relevant project, and gain valuable experience from commercial and academic mentors. You will benefit from a Personal Development Budget of £4,000 and will have the opportunity to register free of charge for a postgraduate research qualification. Skills required: Candidates should possess (or be near completion of) an Honours degree in construction, engineering, management/social science or information systems or a strongly-related discipline at 1st or 2.1 standards. The candidate should be self-motivated with an ability to work independently and to tight deadlines within a dynamic and small team environment. In addition, s/he must have a genuine enthusiasm for developing advanced information systems solutions to real-world problems. Some knowledge and understanding of information system development and/or programme languages would be desirable. Team working and flexibility will be a key requirement. Are you a member of Constructing Excellence? Constructing Excellence is an independent membership organisation committed to improving the business performance of their members by focusing on innovation and best practice in collaborative working and supply chain integration. Join Constructing Excellence today and influence Government policy. For more information about Constructing Excellence in the North West contact roy.stewart@ccinw.com at CCI or click here for more details. To unsubscribe from this mailing list please reply to this mail with the subject 'unsubscribe 35983', or by clicking here and sending the mail. the start of their first course in Architecture are eligible to apply. proven their commitment to the course and the profession. the onset of their professional placements.